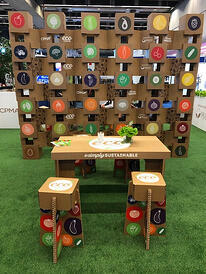 As a part of their larger sustainability story and efforts, Mucci sponsored the “Eco Lounge” on the show floor, which offered seating and a place to recharge that was made entirely of recycled cardboard and pallets. 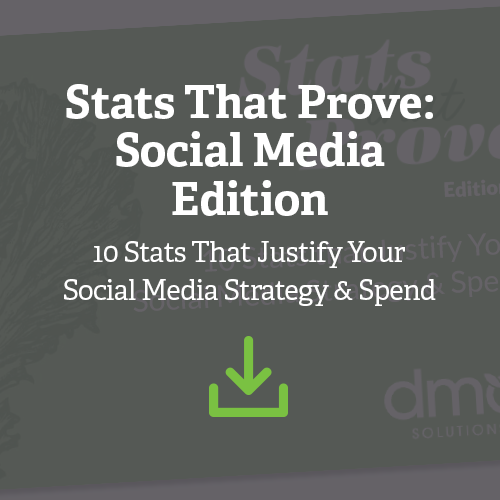 We thought this was a brilliant way to uniquely tie a sponsorship to your company’s story. We’d love to see more clever sponsorship customizations like this from brands! This potato grower-shipper brings their A-game when it comes to creating tradeshow booths that offer buzz-worthy experiences. 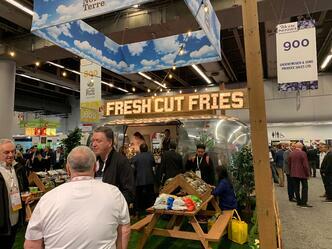 The goal was to invoke an outdoor picnic feel, and from the hanging sign featuring a blue sky with clouds to the green turf floor, Earth Fresh successfully captured this feeling for booth visitors. To emphasize their focus on organic offerings and offer a fun, vintage feel, they served organic fresh-cut fries and a local organic beer from a 1960s camper! 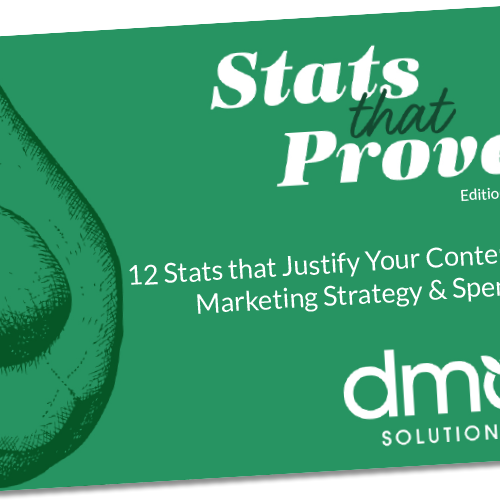 Every couple minutes you could hear cheering and clapping reminiscent of a game show echoing across the show floor. 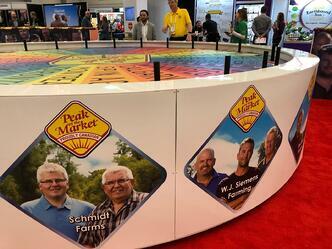 The source was Peak of the Market’s booth, which featured a large wheel with the opportunity to spin for a chance to win $10 or donate 10 pounds of fresh produce to a Canadian food bank. We each gave it a spin and crossed our fingers for a food bank donation--and we’re happy to say we each landed on donations to the City of Calgary and Montreal! In addition to this fun, interactive experience, Peak of the Market included a mural of their grower partners’ faces around the walls of their booth, which we felt added a wonderful personal touch. 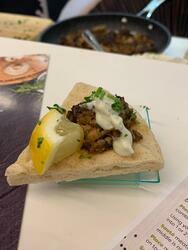 One of our favorite bites on the show floor was a lamb meatball blended with mushrooms and topped with tzatziki sauce on a warm slice of pita bread--delicious! This bite came courtesy of our friends at Highline Mushrooms, and in combination with their always stunning tradeshow booth, we found ourselves stopping by for seconds…and thirds! 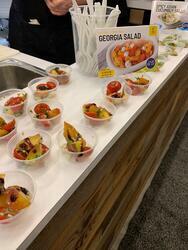 Full of sweet and fresh flavors, the Georgia Salad from Pure Flavor perfectly captured how versatile the brand’s sweet tomatoes can be. We loved to see innovation cooking (literally!) inside the booth, and enjoyed all the small bites the team had to offer. Pure Flavor encouraged attendees to #LiveDeliciously with their simple, colorful, and adventurous dishes. 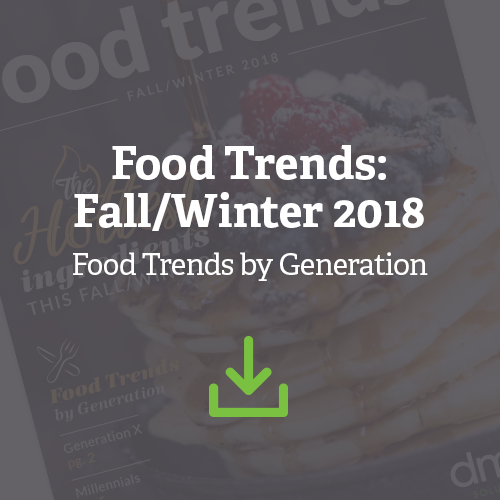 Given its title as Best New Product at CPMA 2019, we’re excited to see Caulini pop up on restaurant menus and in stores in the next year. We learned that despite its appearance, this new veggie is not a hybrid, but rather a type of sweeter cauliflower that takes on a beautiful green hue when cooked. 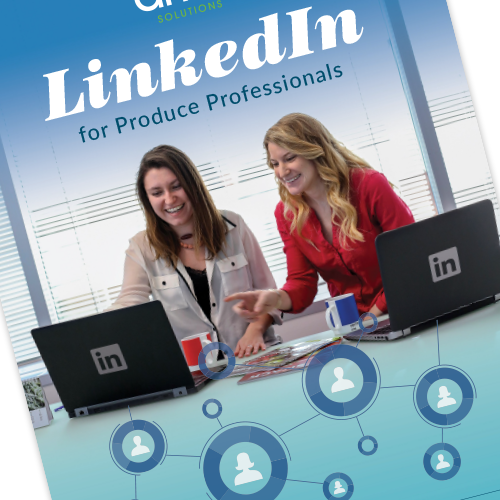 We heard chefs are already getting excited about this veggie in California, so we hope to try it soon! 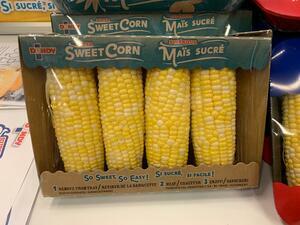 Kudos to the Mann Packing team for developing yet another deliciously fresh product. 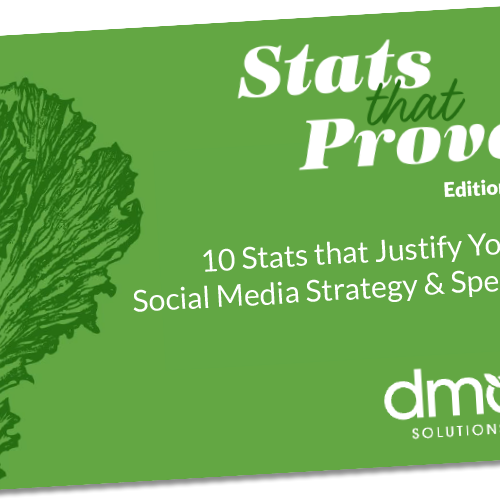 At DMA, we believe in the good of food that is grown, and we love to see companies share that mission. 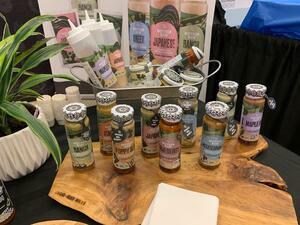 Mother Raw is bringing consumers plant-based versions of their favorite condiments, dressings and dips that taste even better than their processed counterparts. From maple fig dressing to a ketchup made without processed sugars, we couldn’t get enough of what this brand had to offer. While not a new product, this French brand has arrived across the pond and found its way into retailers across North America. The brand’s motto, “we chop, you cook,” embodies the convenience factor its stir-in pastes offers to make home cooking simpler. 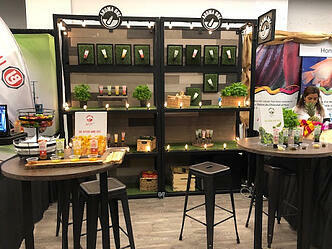 We have to give the team at Aroma One props on their beautiful tradeshow booth set up as well--they did a great job capturing an industrial yet “very French” look! Across the show floor, we listened to brands express their struggles with innovating to meet sustainability demands from today’s shoppers. Duda and Dandy Farm Fresh Foods have taken a huge step with pre-shucked corn by offering a tray pack variety that uses recyclable cardboard. The tray-pack product not only adds convenience value, it also looks and feels better for the planet. We’re excited to see this product on store shelves, and can’t wait to see how shoppers react to the innovation! 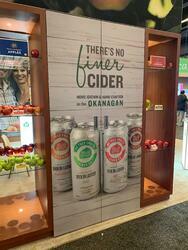 The show floor was packed with tasty bites and refreshments from the industry’s leading brands, but no refreshment stood out to us quite as much as BC Tree Fruit’s cider line. The team from BC Tree Fruit told us the story behind the cider, explaining that their “imperfect” produce is used to brew this hand-crafted beverage. With varieties like rose to pears & peaches, we were not disappointed in the booth’s beverage offerings! If you passed by the Ocean Mist Farms booth, you likely caught a glimpse of the shiny, glimmering display of their gold standard petal inserts. 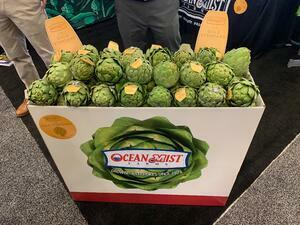 This creative display engaged attendees and enabled them to start a conversation about the farming practices and innovation that make Ocean Mist artichokes the gold standard in the category. Our Canadian friends certainly didn’t hold back when it comes to mixing business and a flat-out good time! The after-party at The Westin was wild in the best way possible. We had a fantastic time listening to the live band and dancing the night away with our produce industry colleagues. While we didn’t participate in the silent disco, we had a great time watching the disco-goers having their own unique party experience simultaneously with ours. 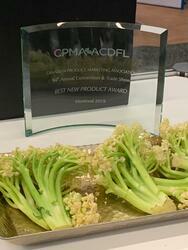 We can’t say enough how much we enjoy the tradeshow hours our neighbors to the north adopted for CPMA. With the show opening at 1:30 pm on Wednesday and again at 11:30 am on Thursday, there was no shame or need to miss out on indulging in the festivities the night before. We felt so much more refreshed walking into the show each day--thank you, CPMA, for giving us this flexibility! Our time at CPMA will not soon be forgotten. 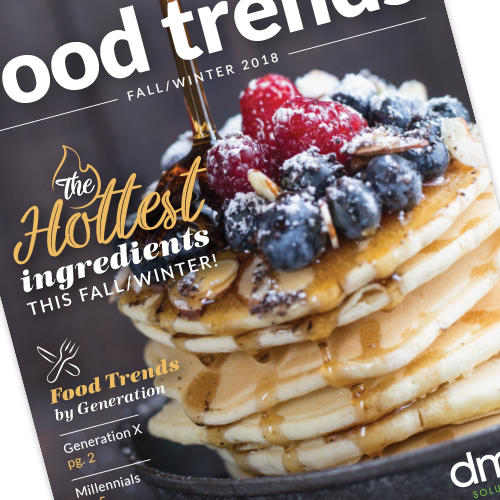 We loved the creativity, innovation, and networking we experienced during our time in Montreal, and it was incredible having the opportunity to test and taste products not yet available in the United States. What was your favorite moment from the show? 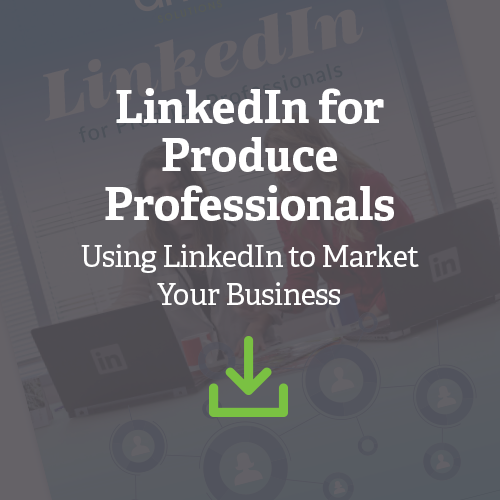 Share with us in the comments below or on Twitter at @TheCoreBlog, and stay tuned to The Core for more tradeshow coverage this season!